Velocity. Ferocity. Viscera. Three words that accurately convey the enduring appeal of Mad Max and, by extension, its three sequels – an era-spanning quartet that represents the ultimate in undiluted genre cinema. What is it about the 1979 original that has meant so much to audiences over the years, and to the evolution of films that offer a bleak and speculative glance at tomorrow? 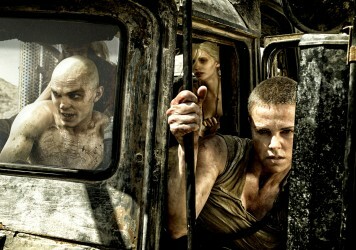 George Miller’s debut feature set a template of sorts for the post-apocalyptic genre, with 2015’s Fury Road attesting to the possibilities of the director’s manic adventure series. An increasingly supercharged, and vividly realised, action road trip, the first instalment asserted that even those film that are so committed to entertainment and kinetic spectacle have the scope for a dash of dramatic expression on the grand themes of what makes a hero. Plot elements and images dovetail with increasing intensity across the series, building a dynamic hero’s journey tale that’s fuelled by a protagonist and his allies finding fragments of hope in a hopeless world. The original film, though, revs to a more particular engine; drenched in a sense of isolation and nihilism and at various points suffused with a horror movie quality. 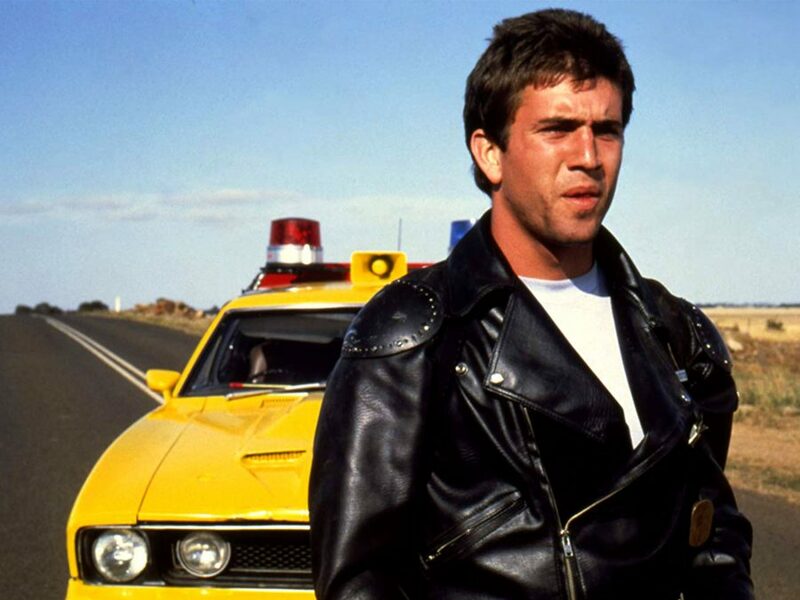 Mad Max was privately funded to the sum of 400,000 Australian dollars and received only a limited release in the US, its fate becoming tangled up in AIP film distributor’s change to Filmways. Actors’ voices were even redubbed with American accents, which did not occur again on any of the sequels. Globally, Mad Max was much more successful than it was in the US, eventually becoming the most commercially successful Australian film of all time. It is such a precisely made film: every shot emphasises empathy and drama. Consider the sequence that intercuts between Mel Gibson’s Max racing to protect his family as they flee the film’s bad guy Toecutter (Hugh Keays-Byrne). Amid the peril and tragedy, elderly, gun-toting Rockatansky family friend May Swaisey (Sheila Florence) takes charge, anticipating the ways that female characters do throughout the series. 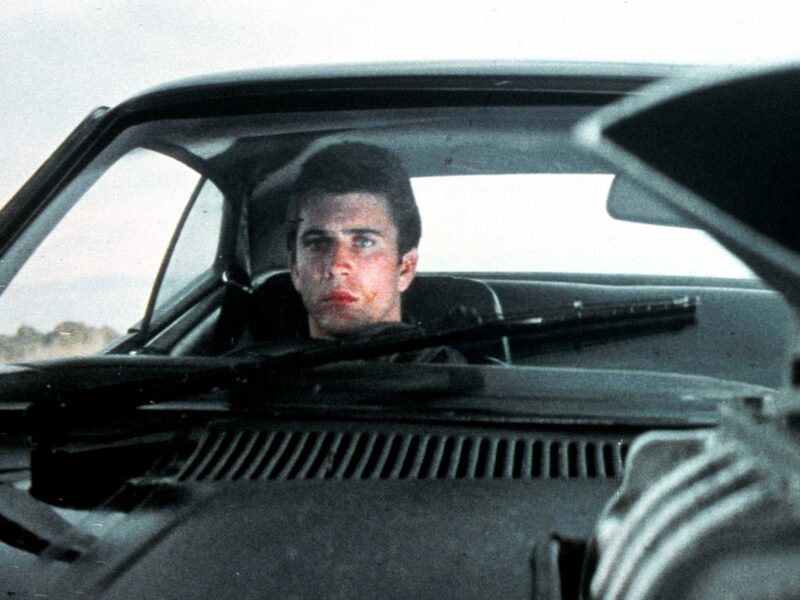 Aside from the film’s striking visual style, one of the film’s most standout elements is Gibson’s performance as the taciturn, sad-eyed Max Rockatansky. Together Miller and Gibson render the character in a distinctly cinematic way, emphasising action over speech in sense of focus and mission. 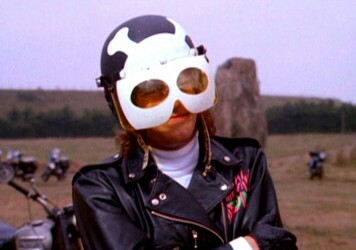 A later scene, in which the stakes intensify with every passing moment, and Max’s circumstances become evermore dire, introduces the madness of Max when he is ambushed on the open road by Toecutter and his gang. There’s a silence and eeriness to the opening of the scene, to the point that it fleetingly recalls the iconic crop-duster scene from Alfred Hitchcock’s North by Northwest. It’s in this scene that Max’s inner primal scream is sparked, anticipating so much to come. 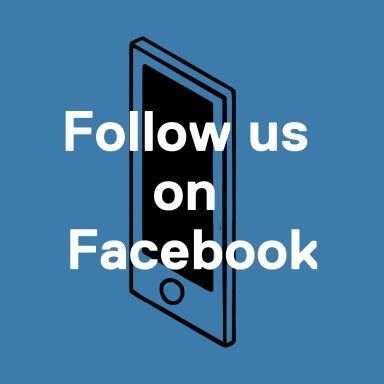 With Max alone on the road, the camera follows from behind him, low to the ground, as he limps and falls towards his car. In this moment, Max becomes relentless and determined – the image of him pushing on across the tarmac foreshadows another relentless cinematic force driven by some atavistic power: The Terminator. 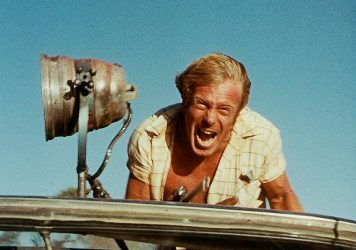 When the premise of Miller’s recently announced new film, Three Thousand Years of Longing, was loosely sketched out in press coverage, it sounded quite true to the roots of Mad Max: the mythological thread running across those road movies quite emblematic of Miller’s vividly-wrought, career-spanning genre movie madness.